Designed for mobility, built for durability. 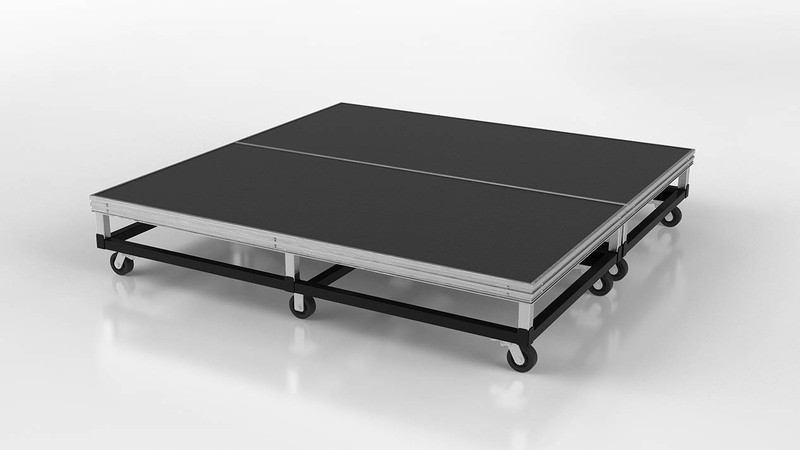 A must for storing portable stages! Puts the portable in Portable stage. 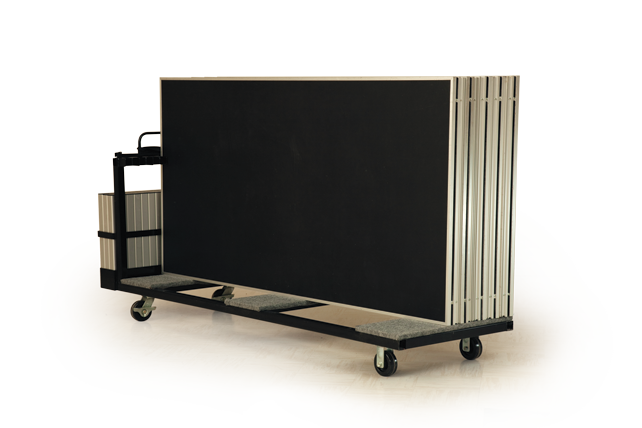 Storage carts will help move your portable stage or riser in for set up and out again after a performance saving time and labour. Staging Canadell storage carts store your stage decks on their edges, allowing for compact storage. 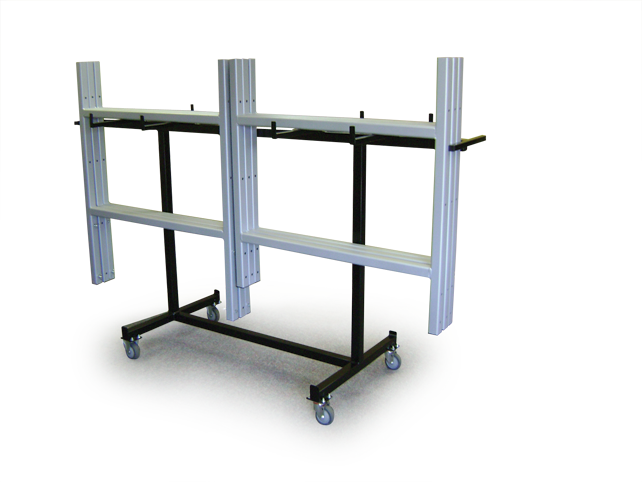 Store your rails and chair stops simply and compactly on a Rail Cart. Each cart holds 18 – 8’ rails. 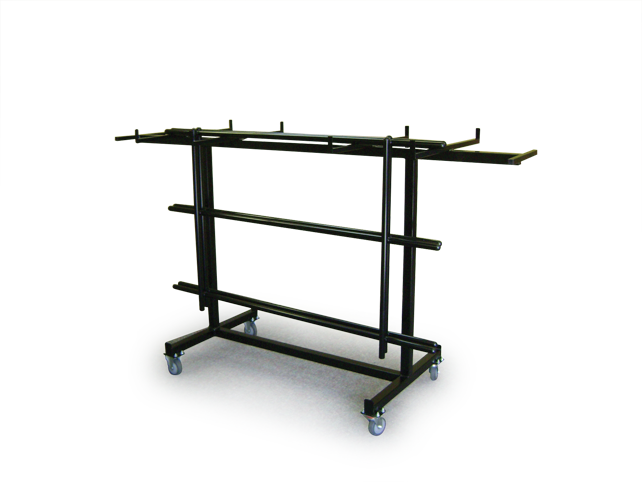 For storage of your Extended Height legs and cross bracing, choose the Extended Leg Cart. Each cart will hold legs and cross bracing for 9 Executive platforms. A convenient cart to store your risers and rails. Each cart holds 3 Risers and 3 Rails. Maneuver your drum kit or musicians around the stage using the rolling Drum Riser. 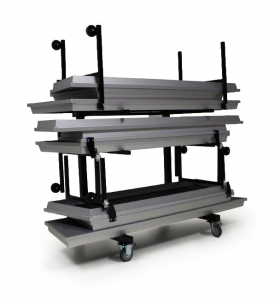 With a steel frame and 900 lb casters, each cart fits a 4’ x 8’ Executive platform. Create an 8 ’x 8’ drum riser by securing two platforms together.